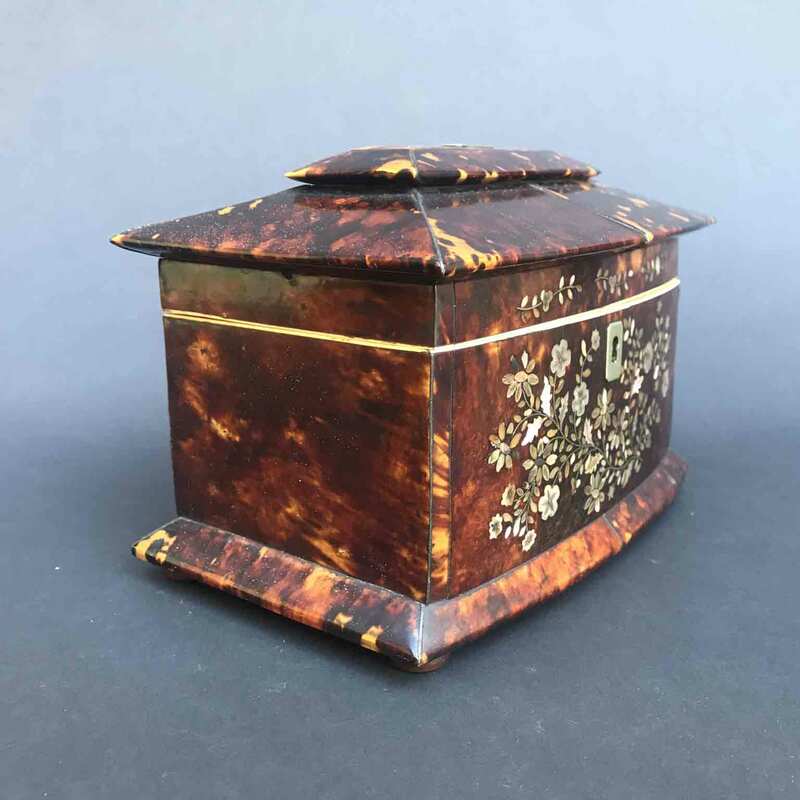 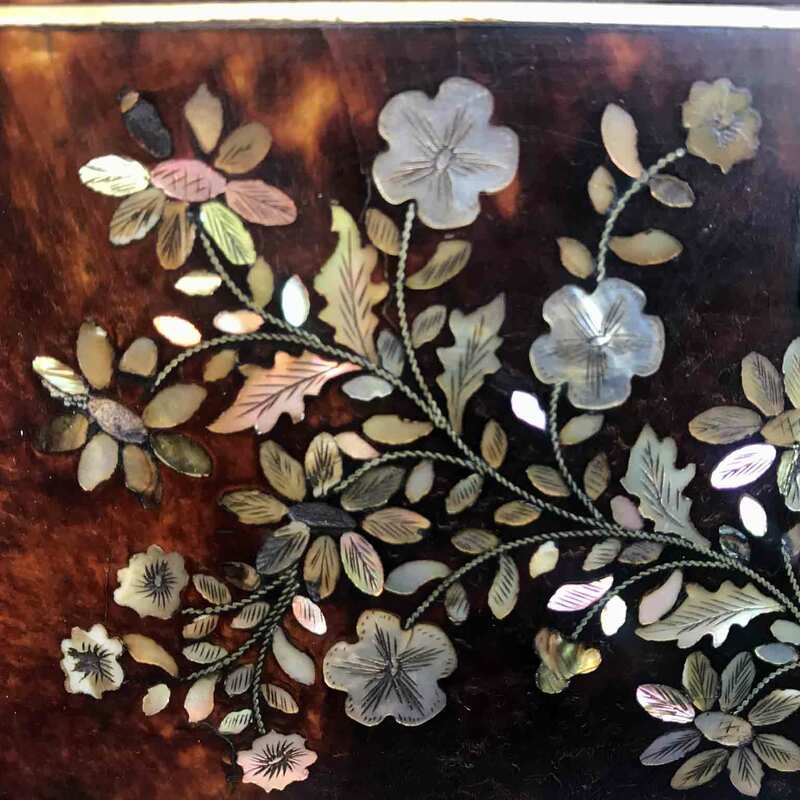 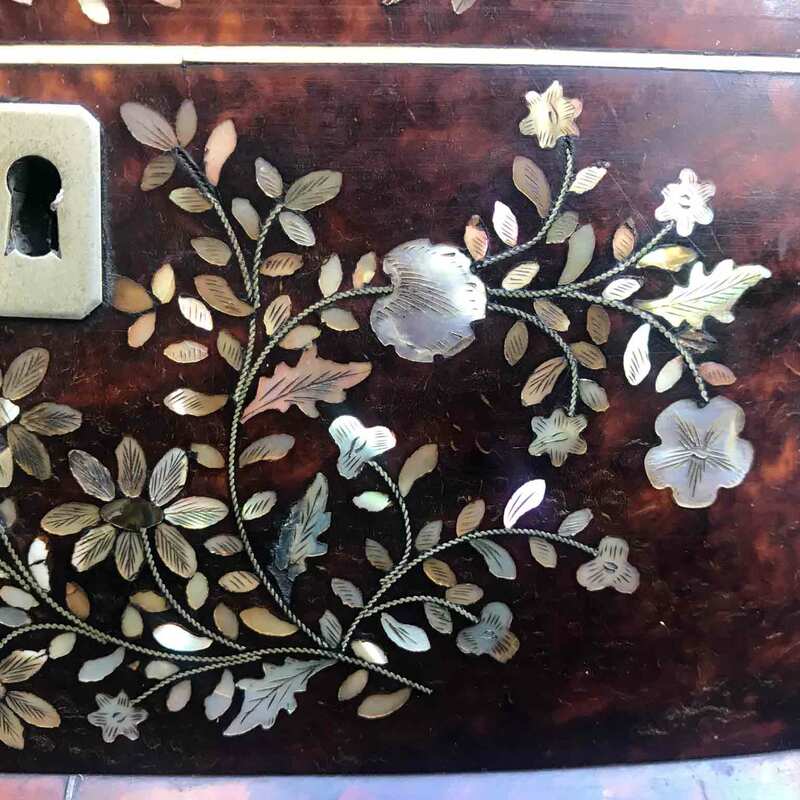 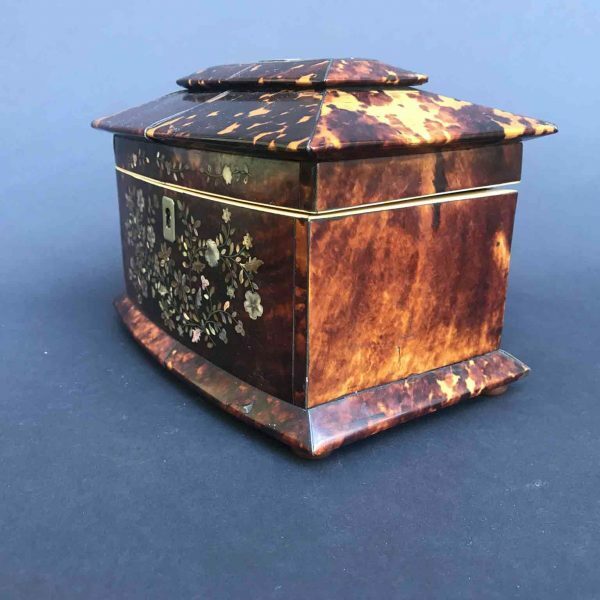 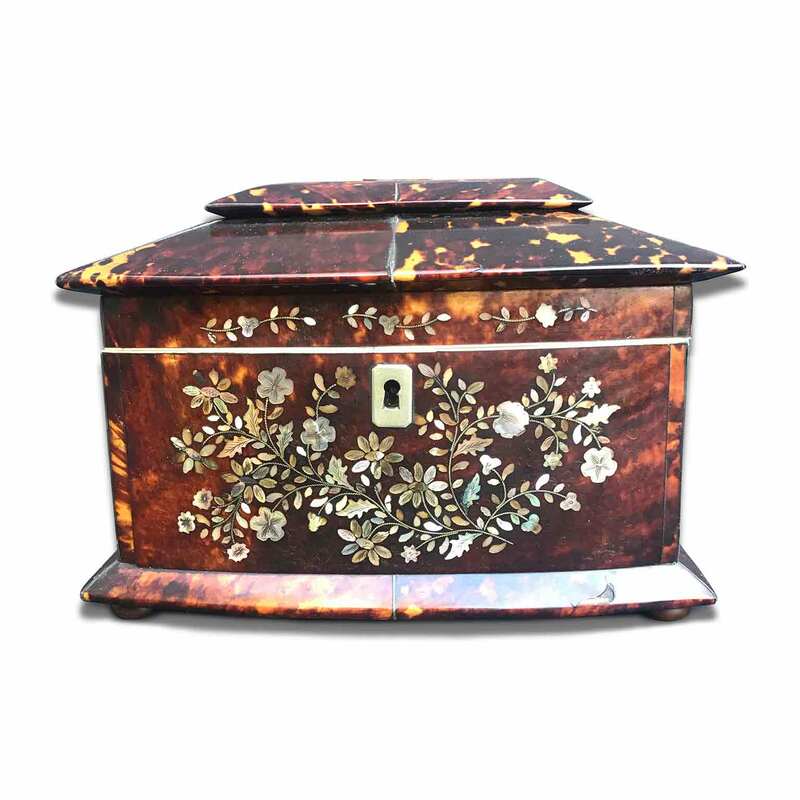 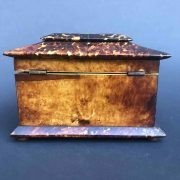 A very high quality Regency period tortoiseshell, two compartments Tea caddy, a urn shaped box, with a lovely curved front inlaid with scrolling mother-of-pearl foliage and flowers and silver stringing. 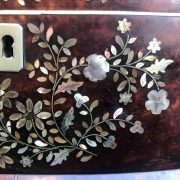 Interior lid lined with red velvet. 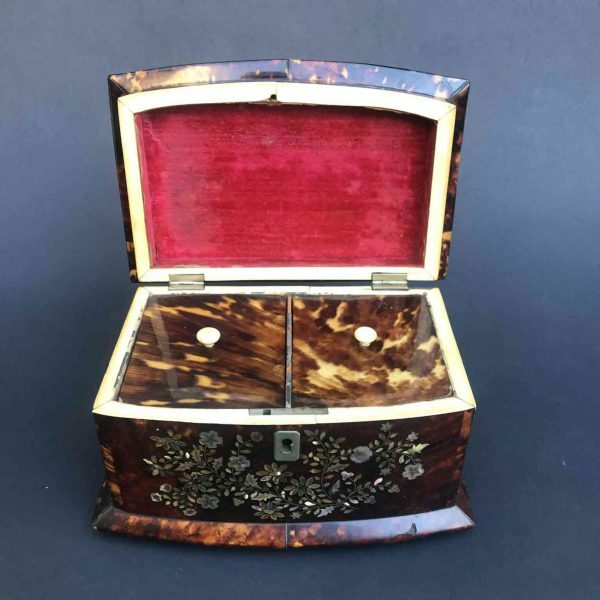 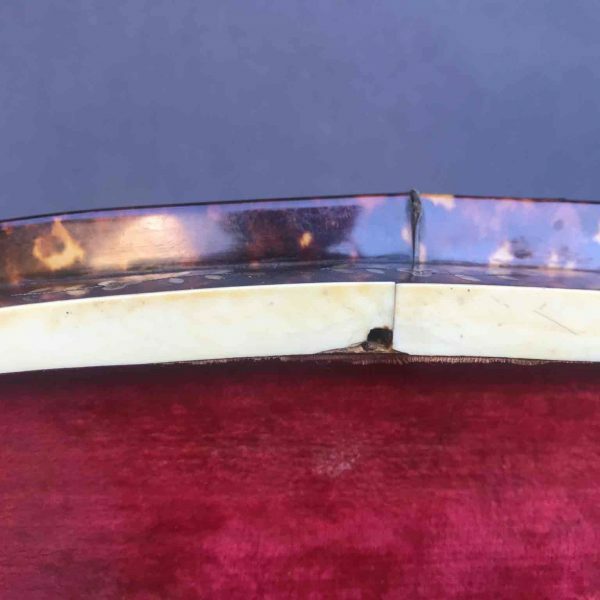 The interior features two mahogany compartments with two tortoiseshell lids with bone handles. Original lock, brass keyhole, missing key. 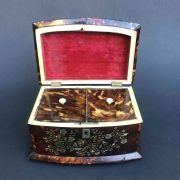 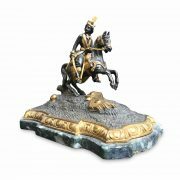 English origin, it dates back to 1820 circa, in good age related condition. 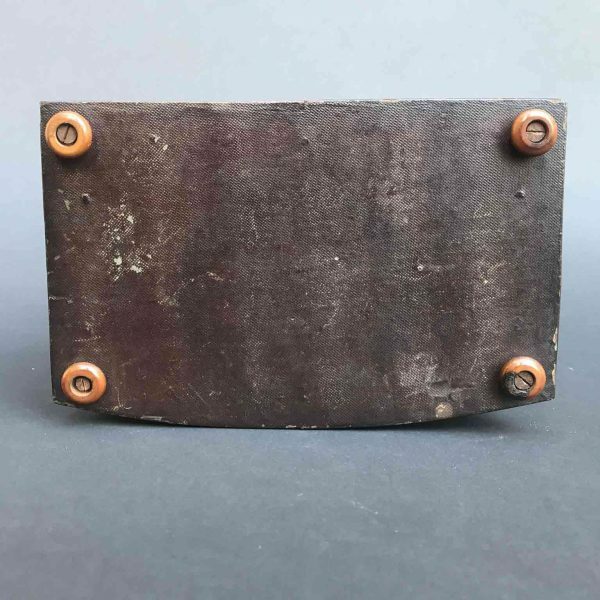 Old restoration on the back side. Thanks to agreements with the most important transport companies we are able to deliver within 72 hours from all over Italy! 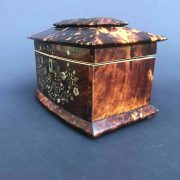 The attention and care in packaging allow us always to travel the purchased goods with confidence and safety. 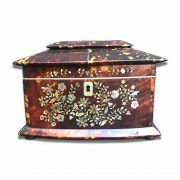 Each shipment is traceable and insured for the full value! 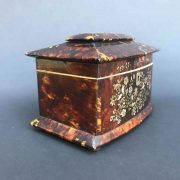 Within each package you will find tax records and the object authenticity certificate.